Android is undoubtedly one of the most popular phones operating system today with the largest market share, but it wasn’t always the most popular. Way back in 2008 the market was filled with Linux, iOS, Windows Mobile, Symbian and Java operating systems. That’s when the first Android device the HTC G1 was launched. It boasted of a single-core Qualcomm processor, 192 MB of RAM, an HVGA display and a single 3.15MPx camera. Contrast this with the latest Pixel 3 phones and they boast of Qualcomm’s latest octa-core 845 processor, 6 GB of RAM, FHD+ and QHD+ displays and vastly improved cameras. Specifications aside the HTC G1 started the Android journey and remains one of the most important Android phones ever. The first Nexus phone was the Nexus One. This phone was based on the HTC Desire but let go of HTC’s software skin for the velvety smoothness of stock Android. It had better specifications that the G1 and was much slimmer as well. While it wasn’t a huge sales success it was a foundation for the Nexus series which went on to be one of the most popular smartphones in the world. Next the Nexus S, the first Nexus made by Samsung. It was one of the first Nexus phones with a front and rear camera and one of the first smartphones with NFC. Google continued its Samsung collaboration with the Galaxy Nexus which also got a new UI overhaul with the Ice Cream Sandwich software. Another change was Google’s shift to on-screen keys from the capacitive touch buttons of the past. The Nexus 4 came next and it was a huge hit selling around 3 million units worldwide. It had a glass back as we see on phones today. It was made by LG and was the first Nexus with wireless charging as well. It was followed by the Nexus 5 with also was made by LG and was one of the first Nexus phones with an optically stabilised camera. Like the Nexus 4, the Nexus 5 also sold very well. Come 2014, Google owned Motorola and they joined hands to create the Nexus 6. It was a monster of a device that was based on the Moto X of that time. Its curvy back and modern UI very cool but Google priced it much higher than before, which showed the direction Google wanted to take the Nexus series to. After the Nexus 6, we got the last two Nexus smartphones, the Nexus 5X and Nexus 6P. Soon after that Google closed down the Nexus program and move to the Pixel range of smartphones. Pixel phones were similar to Nexus except for more premium with better displays and cameras along with better software features. 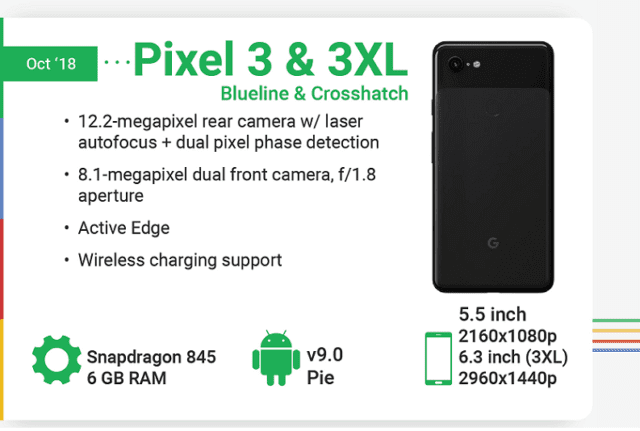 This gets us to this year’s Pixel 3 range of phones which boast of a modern nearly bezel-less design, improved cameras and an even better software experience. Read the complete journey of all the Nexus and Pixel phones in the infographic created by Hometop. Also, let us know if you miss the Nexus range of smartphones and your thoughts on the new Pixel phones.